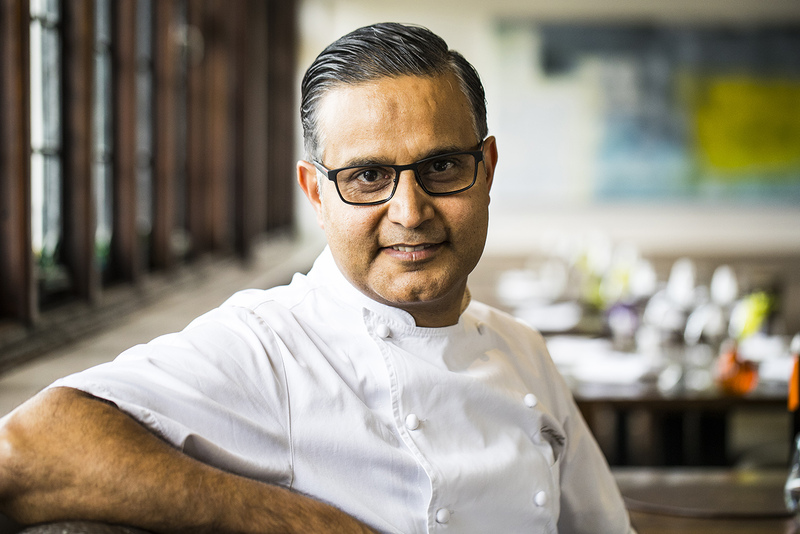 We’ve got an exclusive interview with Indian cuisine maestro, Atul Kochhar, in the next issue of World of Cruising – due out June 5 – where Atul talks passionately about his three favourite topics: cooking, cricket and cruising. As one of P&O Cruises’ ‘Food Heroes’, you can try his sublime food in his on board restaurant, Sindhu, on a select number of P&O ships, but if you want to try and bring a taste of Sindhu to your kitchen, well, we can help with that. Atul was kind enough to share one of his recipes with us and now we’re sharing it with you. It’s a delicious, summery dish perfect for sharing with family and friends over the long bank holiday weekend. Let us know how you get on and share a picture of your efforts on our Facebook, Twitter or Instagram pages. And, of course, make sure you pick up the next issue of World of Cruising to find out more about Atul and his love of cruising. 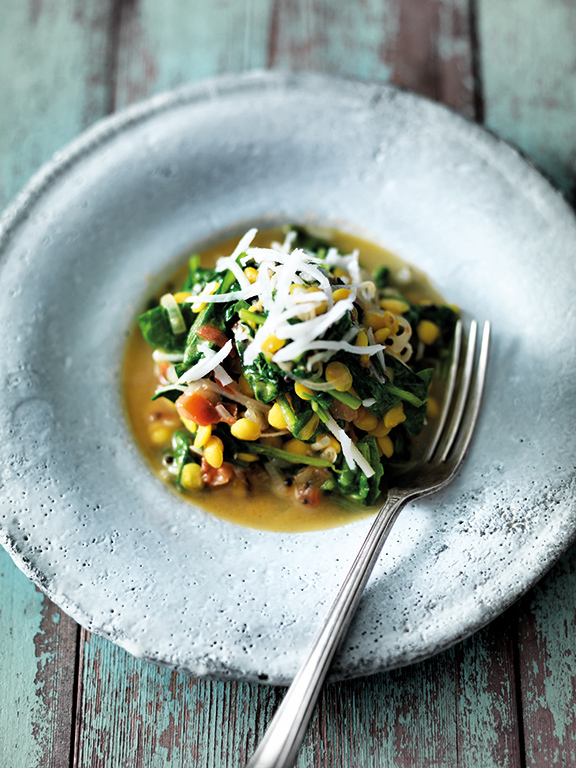 This is a very simple stir-fry recipe that can easily be doubled for a vegetarian main course. I think it goes particularly well with pilau, quinoa or chickpeas. 1) Bring a large saucepan of water to the boil. Rinse the lentils in a sieve with cold water, then add them to the boiling water. Leave the lentils to boil, uncovered, for 20 minutes, or until they are tender, but still holding their shape. 2) Meanwhile, remove the stalk from the green chilli, if necessary, then slice the chilli lengthways. Peel, quarter and thinly slice the onion. Halve and slice the tomato. 3) Heat the vegetable oil over a medium-high heat in the wok. Add the mustard seeds and stir until they pop. Add the green chilli, onion and tomato with a pinch of salt, and continue stirring until the onion is softened, but not coloured. Turn the heat down and leave, uncovered and stirring occasionally, until the lentils have finished cooking. 4) Meanwhile, rinse the spinach and shake off the excess water. 5) Drain the lentils, then stir them into the sauté pan. Add the spinach and frozen coconut, season with salt and stir-fry until the spinach wilts. When you take the coconut out of the freezer set aside a little extra for the garnish. 6) Adjust the seasoning with salt, if necessary. Sprinkle with a little extra coconut just before serving – it will thaw in the residual heat.